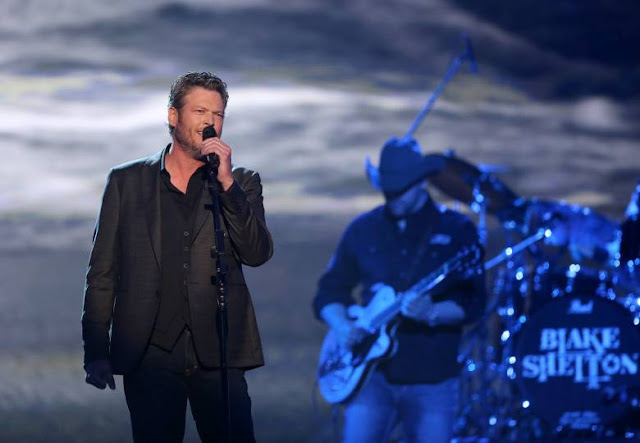 The Academy of Country Music managed to assemble an incredible batch of performers for their 2016 show, one that rightly gave the music priority over the awards. 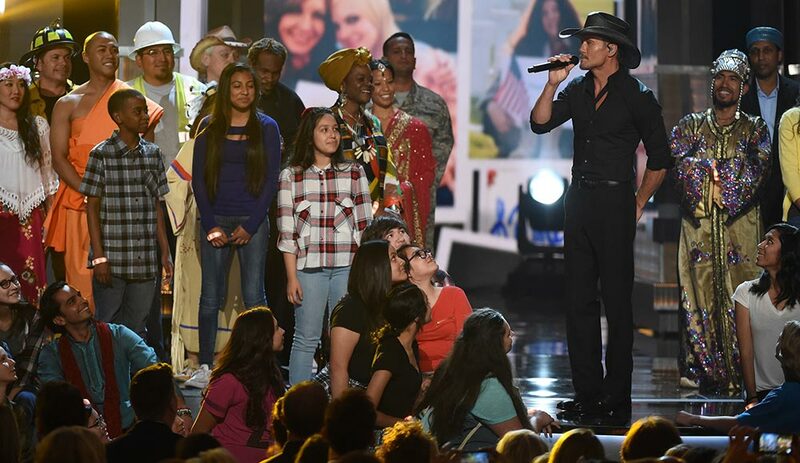 Among the 23 performers of the night were newcomers like Cam and Kelsea Ballerini mixed with country music heavyweights like Dolly Parton, Tim McGraw and Luke Bryan. 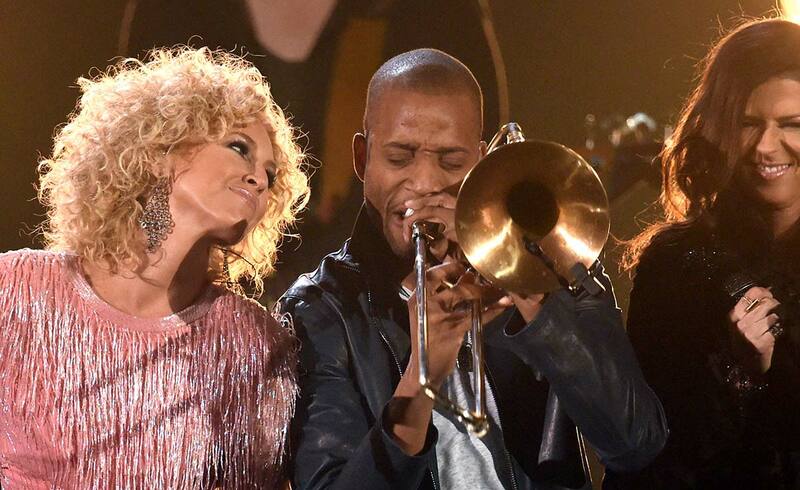 We've ranked all of these performances from worst to best. Surely the most surprising revelation of the night was Jason Aldean's award for artist of the year - especially given his weak latest single Lights Come On, a soulless rock-heavy party track with an emphasis on drinking and raising your cup. Perhaps believable when coming from a twenty-something country star, but Aldean's latest is a desperate conformist plea for a hit. Every so often, artists come along and question our love for the country genre - and currently this artist is Florida Georgia Line. Confession is far from their lowest point, but everything about FGL is a big no - from their image to the common-denominator generic country. This stripped down performance of Swindell's #1 hit proved little more than forgettable and Swindell isn't exactly the most charismatic performer. Whilst Ballerini proved fine on her own, the addition of Jonas served only to disappoint. This should have been one of the big moments of the night, but Jonas didn't really add much to the song or performance - simply drifting in, playing guitar and then adding a line in the chorus. It had the potential to be something great. Miranda Lambert's win for Female Vocalist of the Year is odd - she hasn't released any new solo music since 2014's Platinum. Given the shortage of female performers at the show, Lambert was a welcome presence, however, her performance of ZZ Top's Tush felt a little misplaced. 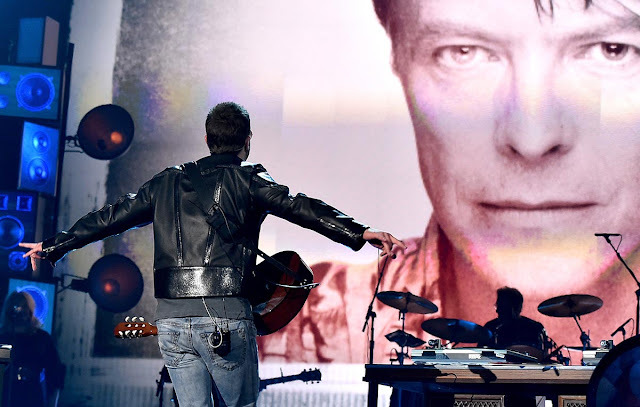 This confusing plug for Church's Record Year turned into a messy tribute to David Bowie, Lemmy and Glen Frey. The tribute angle felt a little heavy-handed - especially given the differences between Bowie's sound and Church's own. Old Dominion managed to make a good impression with their brief performance of Snapback, although they felt more like an interval act to distract the audience from a quick set-change. The big winner of the night Stapleton brought a nostalgic country to the forefront of the night after numerous glossier, pop-country performances. However, without the hard-hitting music video the track doesn't retain the emotional impact. The saccharine sweet Humble and Kind is a bit of a preachy-number, and the performance at last night's ACMs didn't exactly help as McGraw was surrounded by glowing cell phone lights and a "diverse" range of fans. It's all a lit cringey. Bryan's latest choice of single may not be the strongest track from Kill the Lights, but the smooth singer got the awards off to an energetic start with this simplistic mid-tempo number. 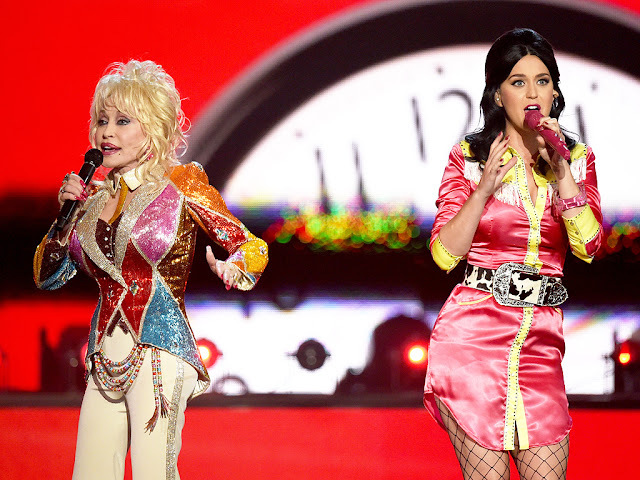 We've all heard Dolly belt out these classics dozens of times, so there was the added novelty of Katy Perry to add a little bit of freshness to the performance. It's fun, kitsch karaoke as Parton wore an emblazoned coats of many colours herself. Chesney's anthemic Noise is made for big stadiums like Las Vegas's MGM Grand Garden Arena and the singer's brimming energy helped it soar. One of the strongest female vocalists of the night was newcomer Cam who delivered heart-wrenching number Burning House. We hung on to every word sang by the singer as she melted our hearts with this gentle guitar ballad. Carrie's powerhouse performance of Church Bells delivered the big choruses as it tells the story of abused housewife turning the tables on her husband. Soaring vocals and Carrie's metallic robo-garb ensured that this is one of the most memorable performances of the night. Gorgeous host Dierks Bentley took to the stage crowd to perform his laid-back summer anthem, Somewhere on a Beach. The singer's warm-personality and relaxed, everyday guy demeanour help the performance deliver a feel-good buzz. Blake Shelton's sombre mid-tempo single delivered the angsty post-split feels that we were hoping for. A dark backdrop of a roaring sea and lyrics like "Getting even with her and with him until the night is over" is set to have gossip columns buzzing. Young turns his attention to the strongest track from his latest LP I'm Comin' Over and delivered a stunning performance with Cassadee Pope last night. 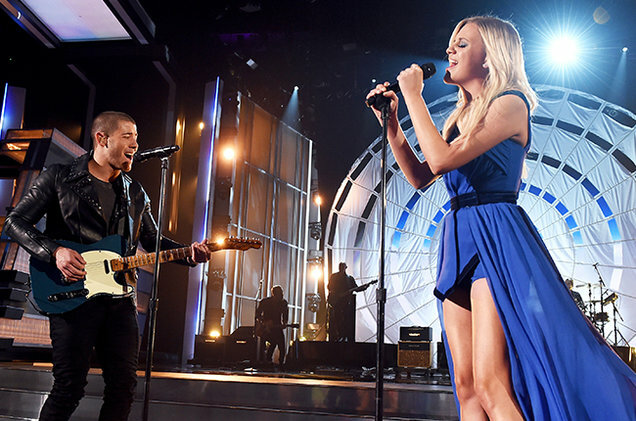 This is a big powerhouse country duet at its best. The ever-charming Thomas Rhett delivered his crossover pop hit, Die a Happy Man, plucking it from an album of upbeat country-pop. This is schmaltz, but Rhett delivers it with a real conviction and heart with gorgeous results. 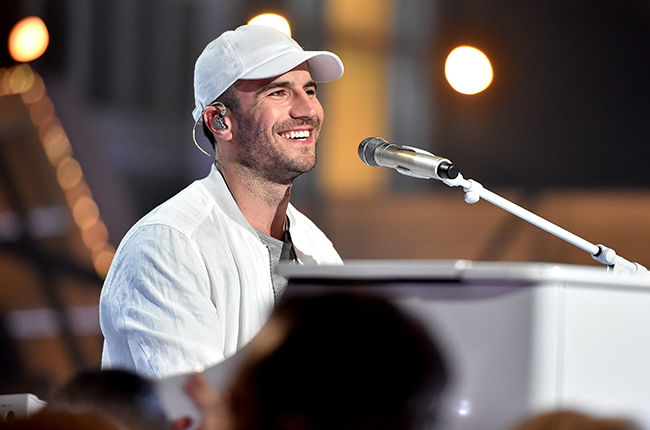 Sam Hunt also went low-key last night as he sat at a piano to perform Make You Miss Me. Hunt's charisma sells the ballad and is likely to score another hit from Montevallo. Now can we have that follow-up, please? Little Big Town's feel-good anthem Stay All Night marks a polar detour from Girl Crush with the energy levels reaching the stratosphere on this stellar party-rock track. 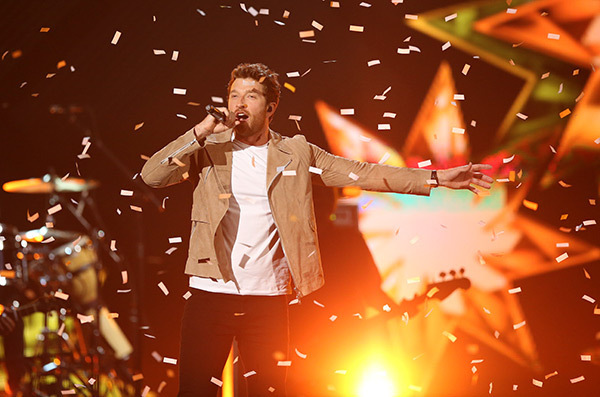 On a night dominated with ballads, Charles Kelley shined delivering a high-octane rendition of Lonely Girl as he rocked the casual look, mid-crowd. If you follow Eldredge on Snapchat, you'll know that his rambunctious energy is completely infectious. This energy was also channelled into his sterling performance of current #1 Drunk On Your Love, complete with falling confetti and an unstoppable showmanship. 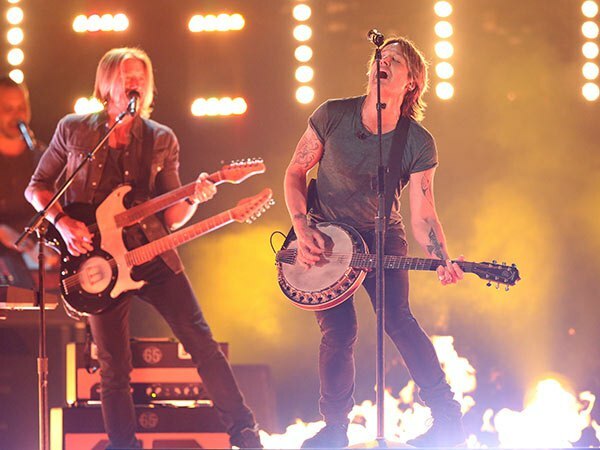 Sometimes all it takes to make a good impression is an incredible song and Keith Urban certainly delivered that and more with this scintillatingly cool Wasted Time. This soaring Summer anthem is Urban's catchiest lead single in a very long time.